The World Press Photo Exhibition for 2018 is currently on at the State Library of NSW and runs until Sunday the 24th June. Entry is free. As a regular attendee of the World Press Photo Exhibition over the last ten years, it still manages to astound, shock and move me to tears. 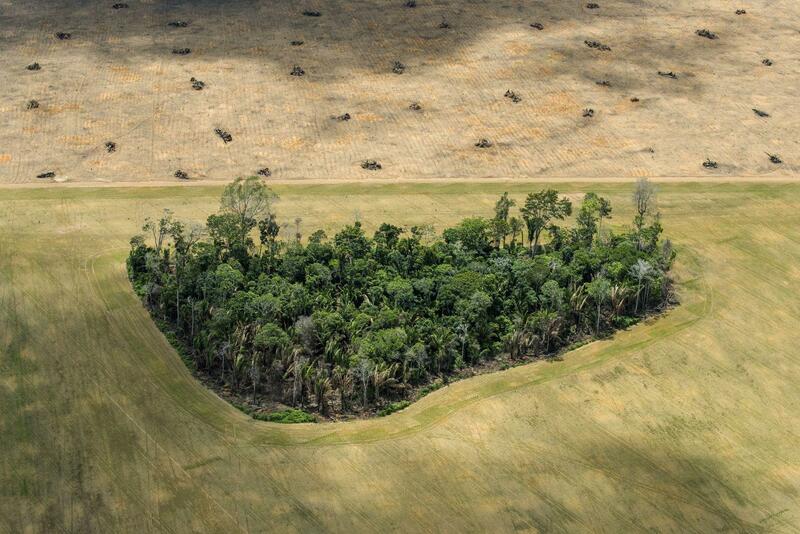 The World Press Photo is currently on at the State Library of NSW. Image by Jade Jackson. If you haven't been before, on the surface, it's easy to walk away overwhelmed at the savageness and rawness of humanities most vulnerable and fragile voices, but when you look deeper at each photograph, you'll notice hints of the best of humanity. It's those brushes with compassion, the smile amongst poverty, the hug amongst terrorism, and the helping hand within a war zone, that reminds you - despite the destruction and sorrow that infiltrates almost every portion of earth, there's plenty of positive stories that shine through. 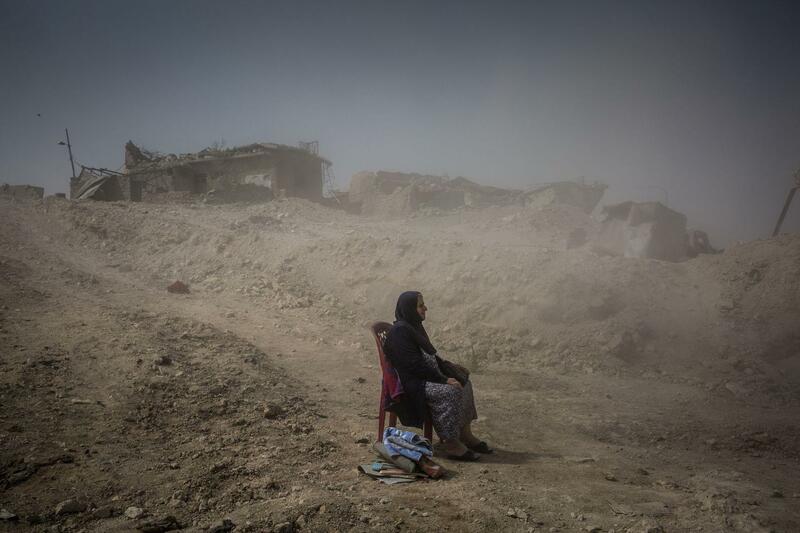 In the below image by Ivor Prickett, Nadhira Aziz looks on as Iraqi Civil Defence workers dig amongst war torn rubble, searching for her sister and niece. The World Press Photo Exhibition has been running since 1958 and is an incredulous snapshot of the year that was. Regardless of whether you're an avid news consumer or not, the nature of this exhibition is representing historical moment's captured, as a reminder of the lengths that photographers go to, and dangers they face, in order to provide images and footage for news desks globally. 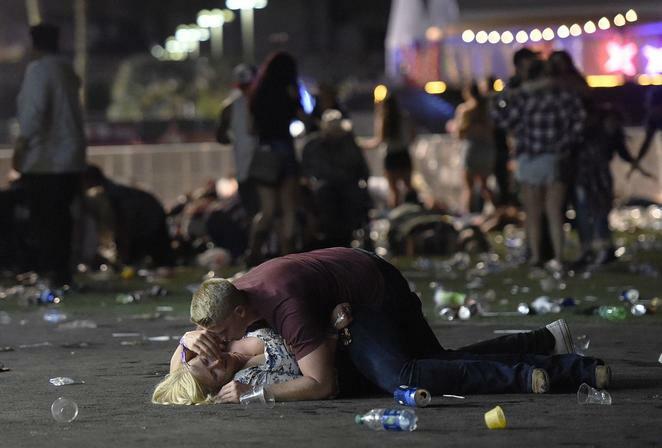 In the below image, a man lies on top of a woman to protect her during the massacre in Las Vegas in an image by David Becker. 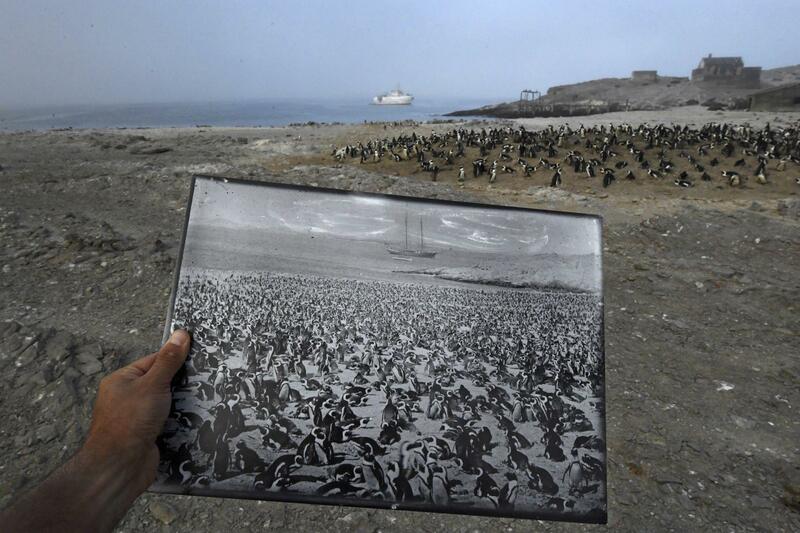 National Geographic photographer Thomas P. Peschak won Environment, Third Prize Singles for his haunting image of a historical photograph of a penguin colony taken in the 1890's alongside the same location on Halifax Island, Namibia in 2017. 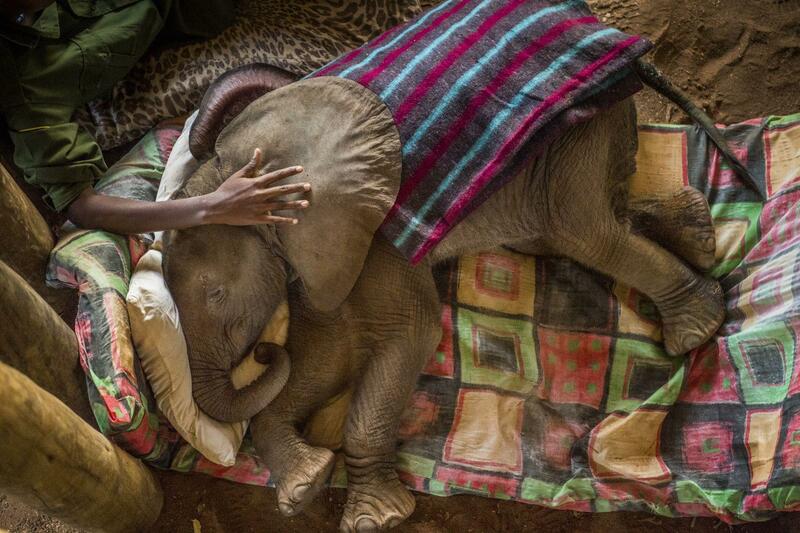 Fellow National Geographic Photographer, Ami Vitale's series of orphaned and abandoned elephants at the community-owned Reteti Elephant Sanctuary in northern Kenya, highlight a little-known plight and won Ami, First Prize Stories in the Nature category. 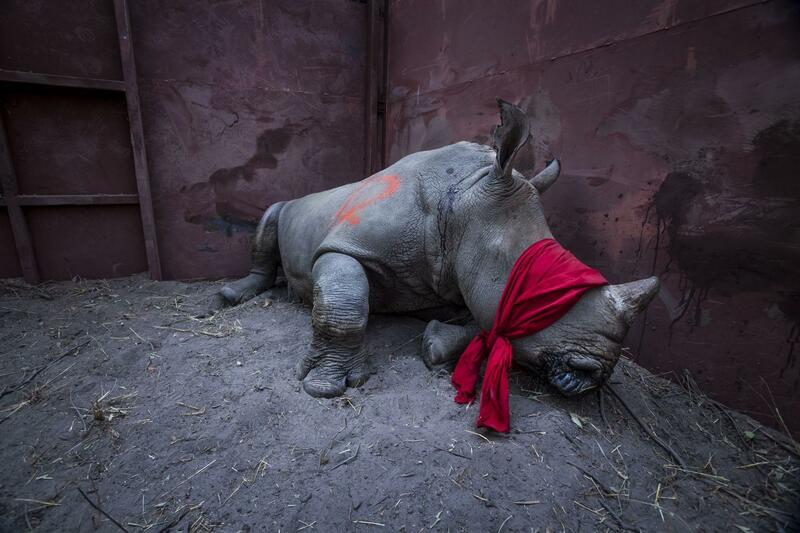 Often it's the simplest photos that are the most powerful, like Neil Aldridge's image of a southern white rhinoceros awaiting relocation from South Africa to Botswana in order to protect it from poachers. What is eye-opening about the exhibition is seeing images from distant countries, and realising there's a whole bunch of stuff that goes on, that isn't related to house prices in Sydney, or what the Kardashians are up to. 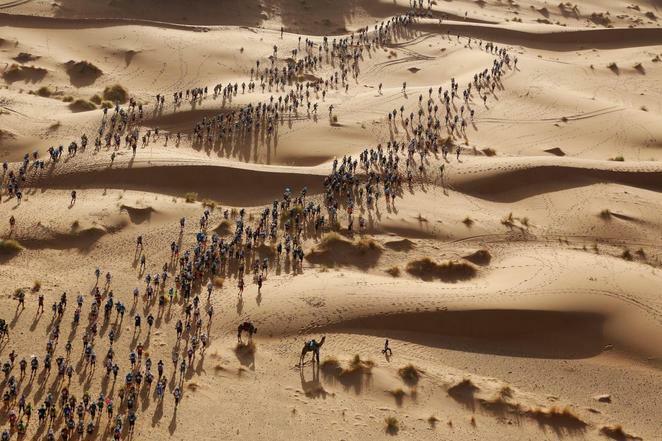 Thankfully, It's also not all doom and gloom, there's unique moments in sport including images of poverty stricken children, enjoying a moment of fun, playing sport, and the desert marathon in Morocco, by photographer Erik Sampers. It's easy to forget the problems of the world like the Syrian and Afghan refugees, destruction of the Amazon rainforest (image below), or the Nigerian girls kidnaped by Boko Harem, once it's no longer newsworthy, but when the story is displayed in front of you, in large photographs, it's hard not to feel anger, compassion, and a desire to want to quit your job, and run off to save the world. 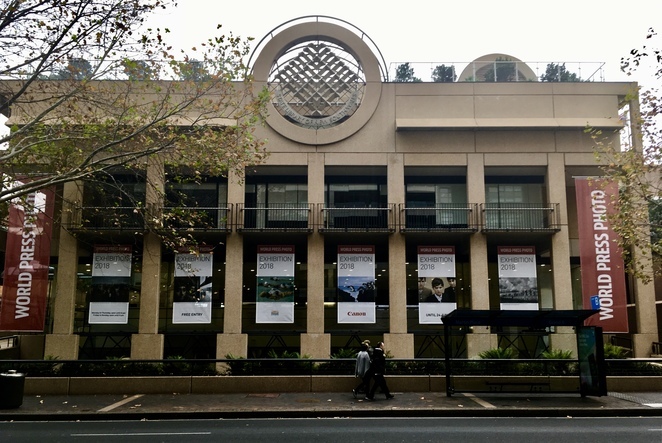 The World Press Photo 2018 is on at the State Library of NSW. 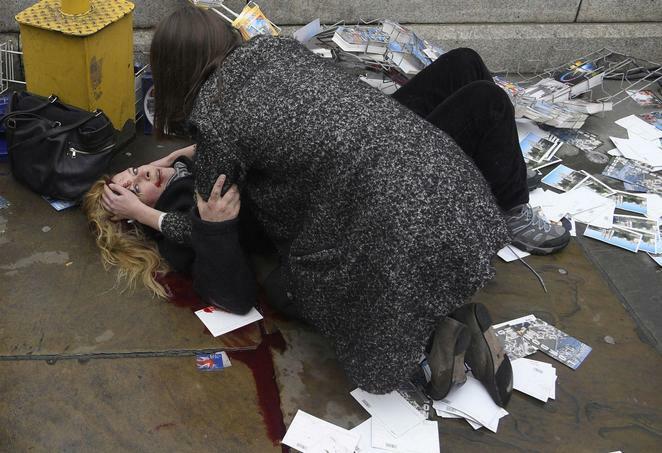 Allow an hour to see it all and to read the stories behind the images. There's a souvenir book of all the photographs you can purchase from the State Library Gift shop for $40. If you plan on taking kids, be aware there are graphic images but you can view the full catalogue online here, to check ahead of time, and be sure to expand the stories for all images in the collection. 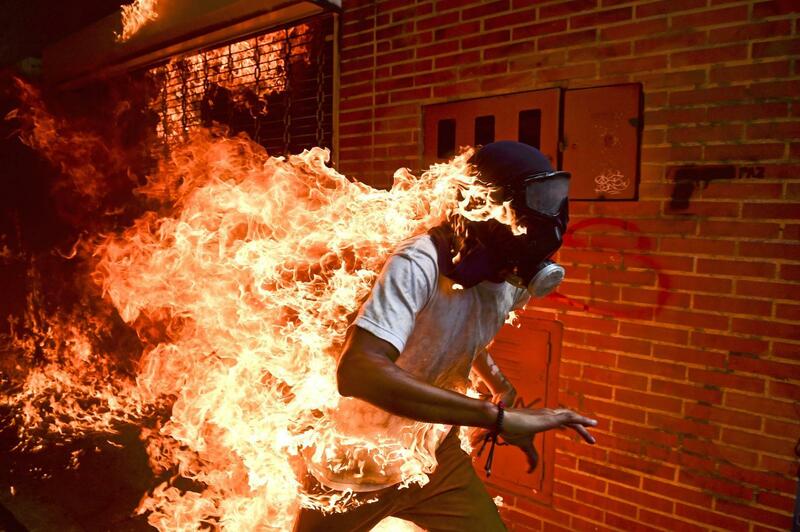 The World Press Photo Exhibition 2018 is a reminder of what happened in the world over the previous year, good and bad, but most importantly, it's the stories of humanity, and it's crucial we keep those stories alive, because one day, the story that needs to be told, might be yours. Why? Incredible photographs, capturing historical moments, telling important stories. When: From 24th May until the 24th June 2018. Open 7 Days, Monday to Thursday from 9am to 8pm, Friday 9am to 5pm, Saturday and Sunday from 10am to 5pm. Oh my gosh, Jade, that photography is absolutely awesome!